This past weekend Rob Levine & Associates was proud to be a part of the WaterFire Salute to Veterans. The event is a community-wide celebration in honor for all United States veterans, active and reserve military personnel and their families. Our service men and women have made imaginable sacrifices for this nation, and the WaterFire event helped highlight and thank them for their service, past and present. The veterans event was a day-long celebration and remembrance for veterans. 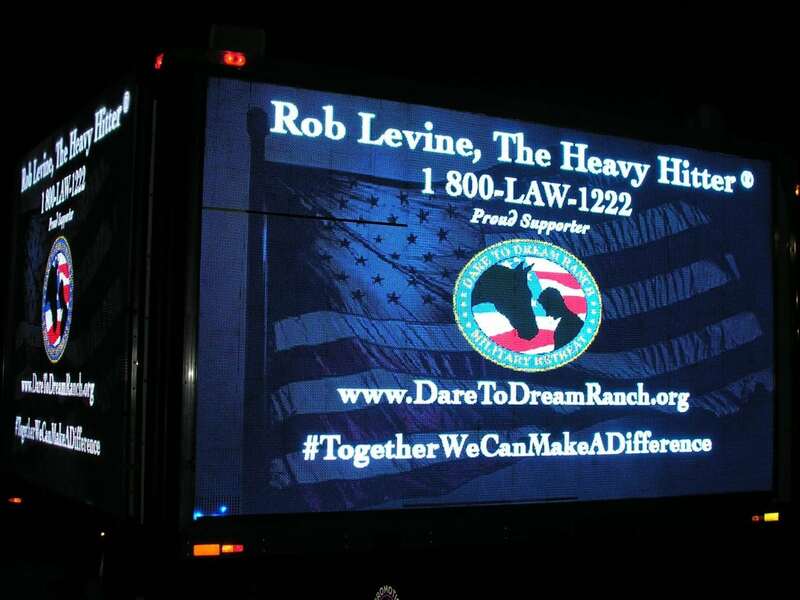 Rob Levine & Associates sponsored Dare to Dream Ranch at the WaterFire Salute to Veterans. Dare to Dream Ranch was founded in 2014 to provide support for homeless and at-risk veterans to help them achieve more. Dare to Dream Ranch raises funds to support veterans, provides various activities to help in the therapeutic process, including equine therapy, yoga, reflexology, group therapy, nutrition education and exercise. The organization also provides support for veterans experiencing PTSD, anxiety, depression and lack of job security. Dare to Dream Ranch provides produce to help feed Rhode Island’s homeless and at-risk veterans. Many of the classes aim to decrease stress and provide veterans with new outlets to express themselves and build confidence, strength, and mood. According to the National Coalition for Homeless Veterans, roughly 11% of the adult homeless population are veterans, predominantly male. Studies have shown that a majority of homeless veterans live in urban areas and suffer from mental illness, substance and alcohol abuse, or a combination. The U.S. Department of Housing and Urban Development (HUD) estimates that 39,471 veterans are homeless on any given night. The causes of homelessness include multiple complex factors, some of which include a lack of affordable housing, difficulty having livable income and access to health care. Post-traumatic stress disorder (PTSD) and substance abuse affect a large number of veterans and can make them at-risk for becoming homeless. Providing services to our nation’s veterans are essential to help prevent future homelessness and get more veterans into safer situations. Find out more about Dare to Dream Ranch and how you can make a difference. Volunteering your time or skills is an excellent way to support at-risk veterans and homeless veterans in our community. Are you or a loved one a veteran who has been denied services you are entitled to? 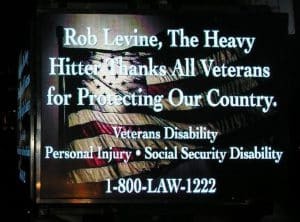 At Rob Levine & Associates we are dedicated to fighting for our loyal servicemen and women. Give our team a call for a free consultation at (888) 533-7507!